Megan was the best performed team member finishing individually third in the teams’ competition and, but for rolling a rail on the last show jump, Megan would have also won an individual silver medal. 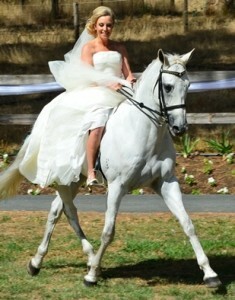 She was selected to ride at the London Olympic Games but her horse was unable to compete due to an injury. Megan began riding at the age of 5 and steadily made her way up the Pony Club ladder until she found official eventing and since then she has continued to achieve numerous wins and accolades. She broke through to international competition in 2003 appearing at the World Cup Final. In 2005 she won Melbourne International Three Day Event riding three star on her horse Kirby Park Irish Jester. She won the four star at the 2005 Adelaide Horse Trials on Kirby Park Irish Jester and took second in the two star competition on another mount. Megan then competed at the 2006 World Equestrian Games. The Australian Event Team took the bronze medal and Megan finished 16th individually. Megan has been ranked number three rider in the world in the FEI’s event rider rankings (an outstanding achievement for an Australian-based rider) and was first in the Oceania group. She has also won the HSBC World Cup Qualifiers in both Australia and New Zealand. Megan’s Olympic horse, Kirby Park Irish Jester wasthe World Breeding Federation for Sport Horses’ top-ranked horse for 2008. Born and raised in South Australia, Megan stands confidently by her successful track record that has led her to where she is today. 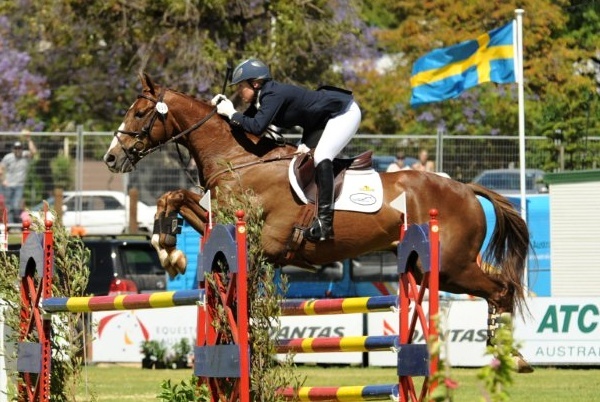 At 37 years of age, Megan’s a passion for horses and the equestrian sport, her strong focus and discipline and outstanding record suggest that the best is yet to come as she seeks to win a gold medal for Australia. To ensure that she will be able to maintain her competitiveness, Megan has a successful breeding program at Kirby Park Stud. This ensures that she will have a supply of personally trained, high performance horses for her future eventing. Megan and Kirby Park Allofasudden have been named on the 2012 Eventing A squad and will be working towards Olympic selection. 2012 got off to a good start when they won the CIC3* at Tonimbuk (Jester finished second) and they will be hoping to repeat that performance in the months to come. Megan recently married James Deacon at Kirby Park.